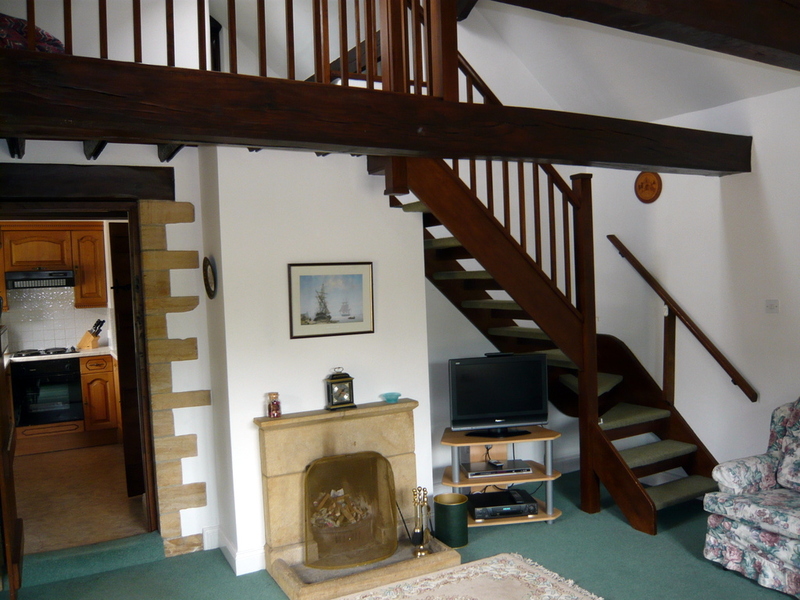 The Dairy holiday cottage has lots of character, with beamed ceilings, oak doors and an open fire. 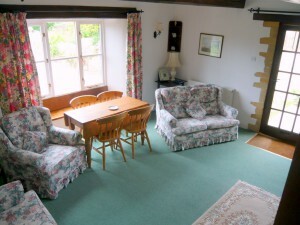 It is furnished in country style, beautifully maintained, with attractive personal touches. The sitting room in Dairy cottage has comfortable seating, T.V., desk and dining table. One step leads up to the kitchen, then through to the hall and bathroom with a bath and integral shower, toilet and vanity unit. One step up from the hall, are two of the bedrooms, a king and a single with a vanity unit. An oak staircase leads up from the sitting room to a gallery and landing and through to the twin-bedded room with roof lights. 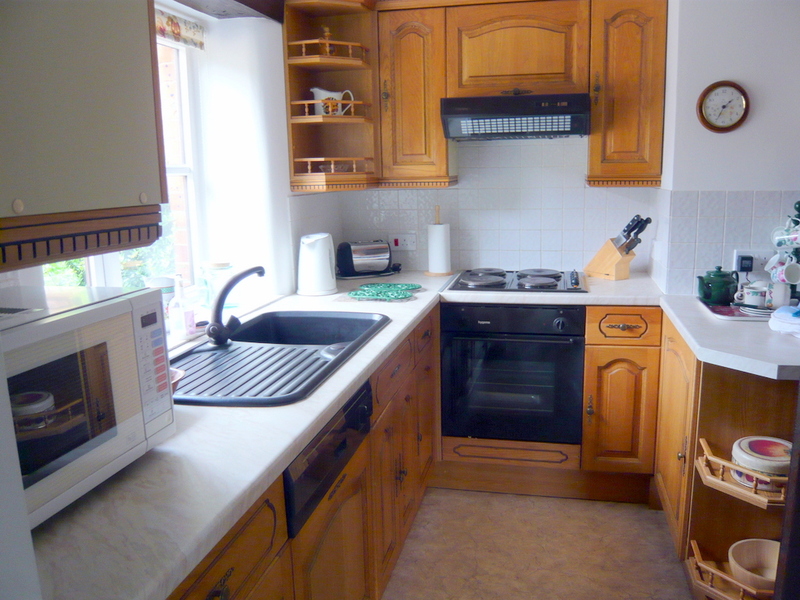 The holiday cottage kitchen is fully fitted with oak units, incorporating fridge, dishwasher, electric oven and hob, microwave, toaster, kettle and cafetiere. Ample china, glass and cutlery are provided, as well as tablecloth, napkins, tea towels etc. Bedrooms are comfortably furnished and the beds made up, ready for our guests’ arrival, using white cotton bedding, duvets and bedspreads. Cottage visitors need only to bring their own cot bedding, if required. All hot water, heating and electricity are included in the price of the cottage. All towels and linen provided. No smoking in the cottages please.